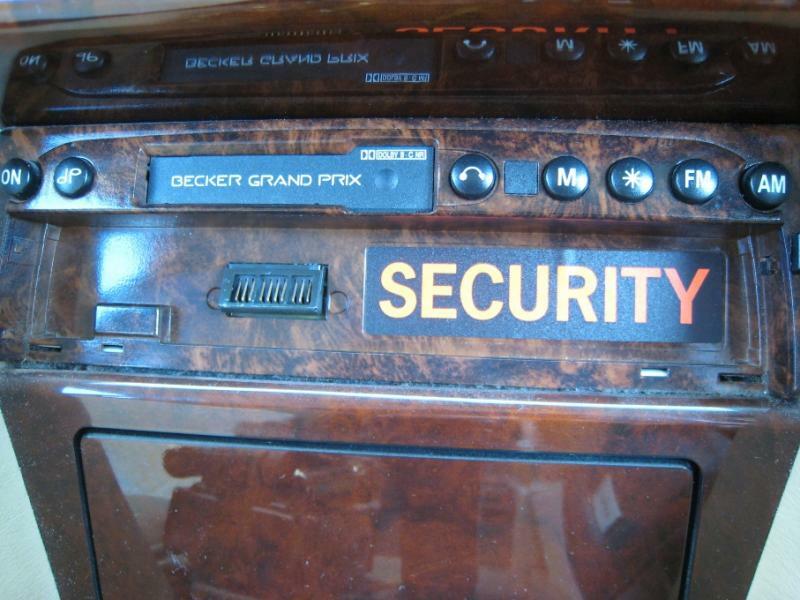 I just bought an old 1995 Merc E280 Masterpiece that came with a Becker Grand Prix radio/cassette player and an Alpine 6 CD changer. The previous owner can't remember the code for the Becker and has also misplaced the user manual for both the radio and the car. I understand that in order to get the code, the model and serial nos. are required. I do not have the tools to remove the radio/cassette player, so i can't see either. I've attached a photo of the front of the radio and another of the rear of the face plate. 1) Can anyone help me to identify the model of the radio/cassette player? 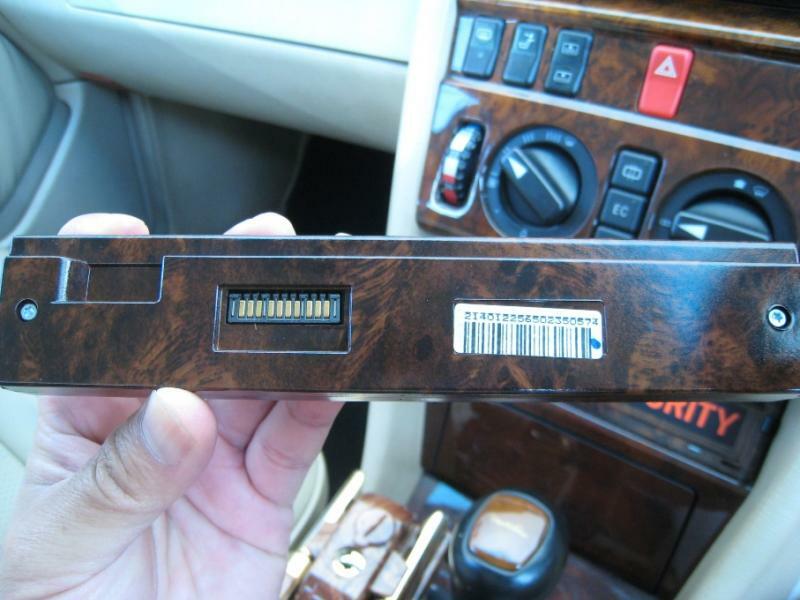 2) tell me where I can get a copy of the user manuals for both the radio/cassette player AND the car? The chassis no. begins with WDB124 and I'm presuming that's a model reference no. 3) where can I get a set of the tools for removing the unit? I know its a lot to ask, but the dealer here no longer keeps any records or reference for cars more than 13 yrs old. It would certainly be a help if we knew your geographic location. You can purchase tools (two key blades) to remove the headunit at nearly any shop that sells car stereos and such. Ooops, Sorry. Thanks for your reply MTI. I am in Malaysia. As far as I know, Becker used to be standard audio for Merc. I have not seen any Becker being retailed at dealers' shops. I've taken it to a few shops, and they don't have the right tools. Also they told me that its so old, and they don't have the code either, so I might as well break it to remove the unit and install a more "modern" model. I'm not inclined to do that if the Becker is still in working order. The finishing also matches the pannelling of the car. Hope you can help. I've placed an order for the removal tool, but can't be sure that its the right ones. Apart from that, I don't seem to be able to find out any other info on the Becker Grand Prix. I'd like to get hold of the user/instruction manual at least. Does anybody know how the code is input? After keying in the 4 digit code, is there any other key that needs to be pressed? and for how long? As a last resort, I'm going to try keying in all 9,999 combinations. I would email them and ask if the keys would fit. I have not tried the following, I don't have a Becker yet, I copied it from this or another forum to have on hand when I do, so maybe someone else can confirm. Enter the code using the number buttons for your preset station then push mode button. If you enter the wrong code more than three time the radio will lock up and needs to be left on for as long as twenty four hours, before CODE will come up again. Turn your ignition switch to on position. 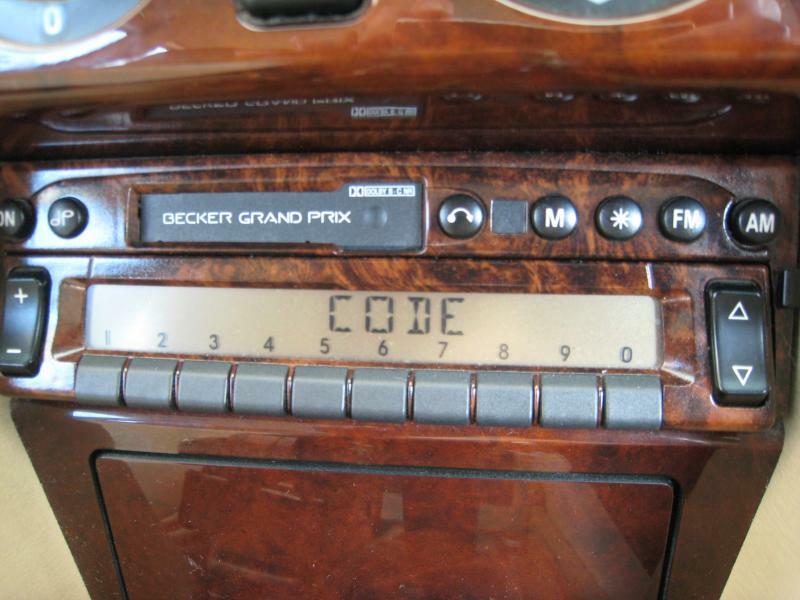 Turn your radio on, code should appear on the screen of your radio. After code appears, enter first digit of your code. Wait for first digit to flash. Then enter second digit, wait for flash. Then enter third digit, wait for flash. Then enter fourth digit, wait for flash. Then push * on your radio to except the code. It is definately not a US spec radio, I dont know if the dealer is truthfull, the code would be in your master vehicle inquiry. Becker does offer coding for a charge, am unsure about non US models. REMEMER three unsuccesful attempts will lock out the radio for 24 hrs, before you can attempt it again, and it has to be powered on to clear. Thanks Peter. I live in Malaysia, so I'm not sure if Becker makes different models for this part of the world. I'm trying to get all the pix of the unit in Flickr so that everybody can have a look at the unit. Anyway, I've already keyed in hundreds of numbers but have not be "locked out". So I suspect that there is another button which I need to press after a 4 digit code is keyed in. There is a dp button for bass and treble, and 5 other buttons - *, M, FM, AM and another with what looks like a headphone printed on it. There are also 2 other rocker switches, one with a + and - and the other with a up and down triangle. The unit also has 10 digits, which I presume could be presets 1,2,3....8,9,0. After a 4 digit no. is keyed in, the 1st digit starts to blink. If I press the up/down triangle after keying in a 4 digit no. (not necessarily after 3 tries)the WAIT sign appears. Then I have to wait a few hours before I can key in another number. Go figure. I've now resorted to asking around my neighbourhood to see if there's anyone who owns the same model, hopefully they will still have the manuals and the removal tool. Next I'll be stopping people on the road and asking them if they still have their manuals and removal tool. You can try my Becker pages, to see if any of the models look like yours. I have links to most of the manuals there. Thanks for the link to your resources. I've looked, but none of the models look like the one I have. I've attached some photos for you to see. 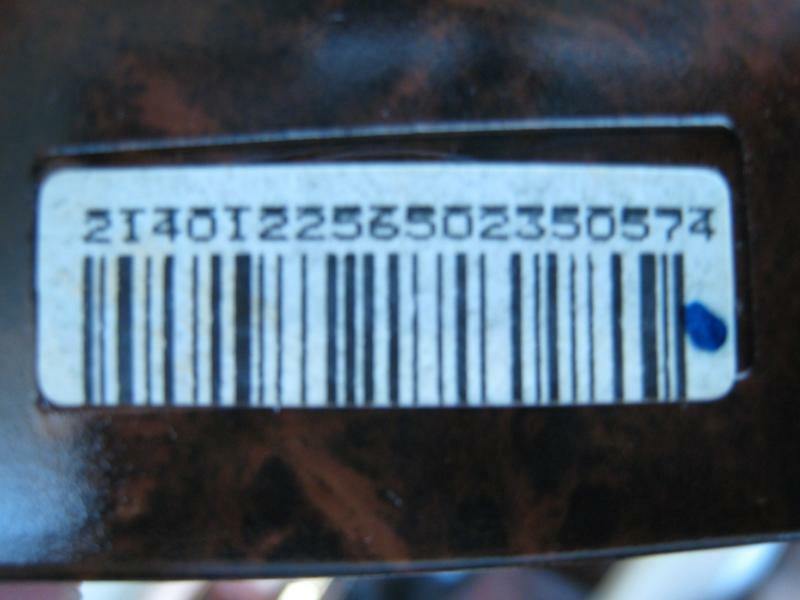 1. bla bla bla 3.Enter the first digit of the radio's antitheft code ......... . The word CODE will disappear and the first number that you have entered will be displayed. 4. Enter the rest of the antitheft code. Each number will be displayed when it is keyed in. 5. When all four antitheft code numbers have been correctly entered, radio operation will resume. The station stored at push-button 1FM will play. must be left ON during this period in order for it to reenter the CODE mode. Based on the above, I've entered hundreds of 4-digit codes. After entering each 4-digit code (incorrect ones of course), the word CODE does not appear again as described. Instead, the 1st of the 4 digit code that I'd last entered will blink. I can then proceed to enter other codes. The only time the word WAIT appears is if I press the up or down "triangle" (the "Tune" buttons in the 1692, except that instead of facing left and right, the "arrows" face up and down). And then I have to wait not 15 minutes, whether 1st or 3rd time, but hours. I read somewhere 2hrs something minutes ans some seconds. Nobody in my neighbourhood has responded to my request yet, so it looks like I'm going to have to resort to approaching total strangers. Wow, that is a nice looking radio. It looks similar in layout to the 4602, but with a cassette tape player instead of the internal CD player. Have you tried to contact Becker in Germany directly? Last edited by dakota; 12-24-2008 at 07:35 AM. Send me the serial number. I should be able to get the correct code for you. Phillip - Yes, that is what I meant. Your radio has the cassette player, whereas the 4602 has a single CD player internal. Look at my web site and click on 4602. I think that if you can get the radio out, you will be able to find the model number, which may help you in your inquires. edit - and maybe Cleeve can help you !